PlayerUnknown's Battlegrounds (PUBG) Mobile is planning a new mode for the upcoming Chinese New Year. 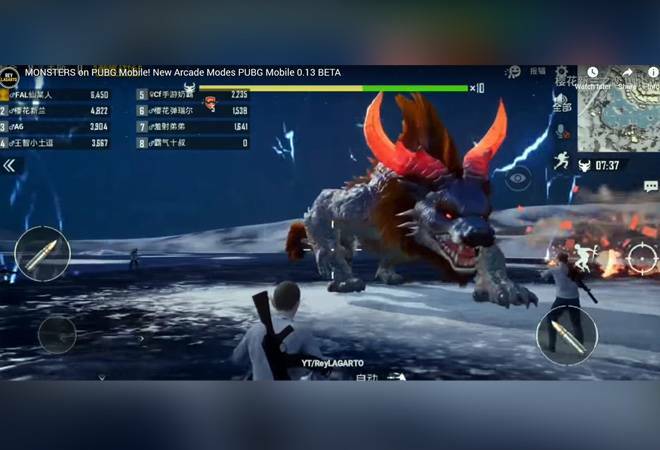 The online multiplayer battle royale game is expected to launch a new game mode called 'Monster Hunting' for the Chinese people to mark the beginning of the New Year. The new mode has already been made available on the Chinese servers and can be tested by the gamers. The 'Monster Hunting' mode will have new locations, mythical creatures and monsters. What new in the 'Monster Hunting' mode? In the Monster Hunting mode, the players are required to carry out monster hunts for loot. These monsters will be Chinese mythical creature-looking monsters. To play, you will first need to set off the statues placed around the map in the Monster Hunting Mode. The new 'Monster Hunting' mode was brought via the PUBG update 0.13.0 but it is still in beta. The limited release of the new mode has disappointed the lovers of the game. However, if the mode adds enough followers and gains popularity then the company might end up releasing it globally. For the players who are not located in China, PUBG will be releasing the 'Zombie Mode'. A 'Zombie Mode' is rumoured to come with the next update to PUBG Mobile, expected around the end of January. It will bring new weapons, vehicles and some other new features for the gamers. Earlier, PUBG Mobile brought 0.10.5 update as gamers were experiencing the lag and faced matchmatching issues. The gamers had also complained about the absence of new Vikendi night mode and G36C weapon. Other than sorting out the performance issues, the new PUBG Mobile update 0.10.5 brought the submachine gun called PP-19 Bizon, a new assault rifle called the MK47 Mutant, a vehicle called Tukshai and much more.